Happy End of February to you all! If you are anything like me (and located close to my spot on this globe), you are most likely eagerly awaiting the coming spring. This winter has gone on far too long! Its been a somewhat productive winter as far as painting goes. One of my recent major updates was the announcement that commissions will be closed indefinitely. This decision has been made in order to allow myself the space to grow and explore, and will reopen again when I feel ready and renewed. In the mean time, paintings and prints will be available to decorate your favorite spaces! 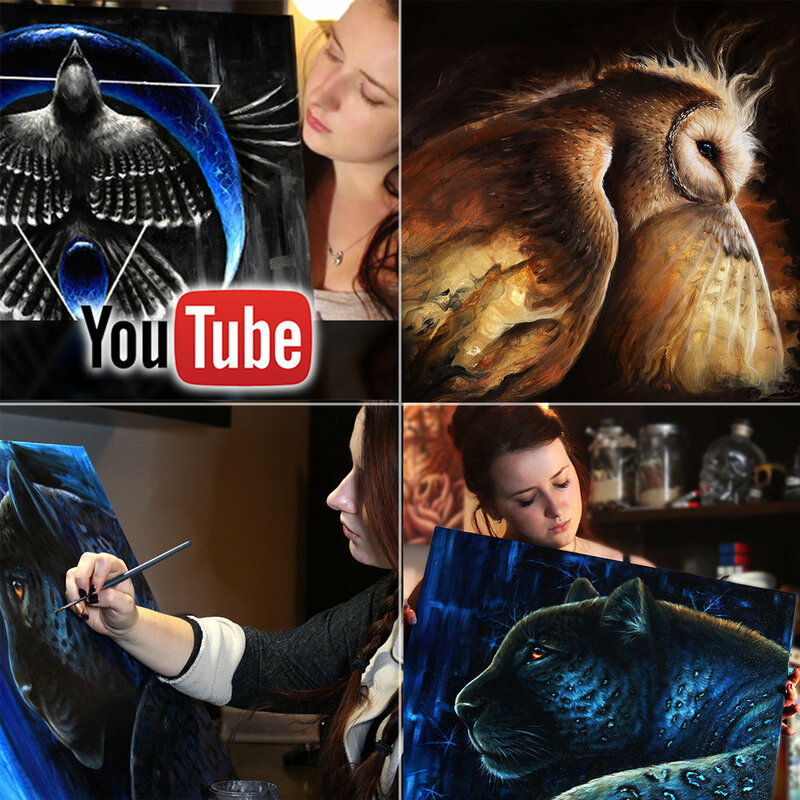 Top Right: Added another Barn Owl piece to my portfolio, I can't ever get enough of these feathered beasts. This particular piece is another that belongs to the "Calm Within Chaos" series. Bottom: This piece, "Starlight & Scars", was one of my favorite pieces to work on over the last few months. Its no secret that I adore metal leaf (and big cats, but that's a tale for another day), so I experimented for the first time with overlaying thin layers of oil paint on top of silver leaf. The result is stunning in person, it adds a special luminous quality that is hard to achieve any other way. Heads up Canada, we are coming! The lineup for conventions that I will be tabling at is growing as the year progresses, but here is a current list of the shows I am confirmed for. Also hoping to hit up shows in Edmonton and Toronto! Can't wait! Comfort is different for each person, it ranges hugely and can change based on your mood. Some of my "comfort blanket" things are a hot mug of tea, a warm essential oil blend featuring spice, vanilla and citrus tones, and the sound of calming silence. What do you find your comfort?